The perfect gift for your favorite wine-lover…or for yourself! 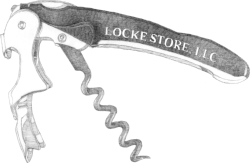 The Cora-Vin Club is the exclusive Locke Store wine club dedicated to our wine-loving friends and neighbors. Our club invites all passionate and curious wine drinkers to further explore the wonderful world of wine. The event-based 2019 Cora-Vin Club membership offers exciting opportunities to meet the winemakers and producers in an intimate setting. Executive Chef Brian Volmrich creates custom food pairings to bring out the subtle complexities of the wines selections. His skills and talent are showcased in the multi-course dinners and tasting receptions included in the club membership. Look for the 2019 Event Calendar in early January to sign up for your preferred dates, which will be available on a first-come,first-served basis. We offer two levels of membership, allowing you to tailor your membership to suit your lifestyle. For more information, please fill out the form below and our Wine Manager will be in touch shortly!